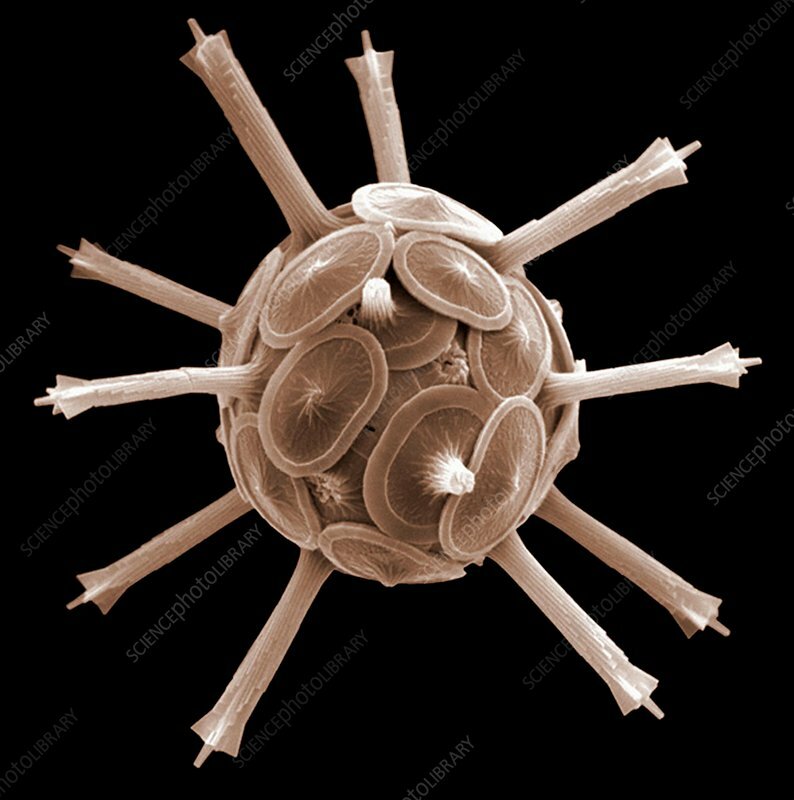 Coccolithophorid plankton. Coloured scanning electron micrograph (SEM) of the external mineralised structure (coccosphere) of a small marine algal organism called a coccolithophore. The coccosphere is made up of coccoliths, which are individual plates of calcite crystals. Magnification: x4750 when printed at 10 centimetres across.